By accepting a limited number of events a year, we are able to give each and every detail of your floral planning our complete attention. We are available to answer questions and reply to comments that arise during the creative process. 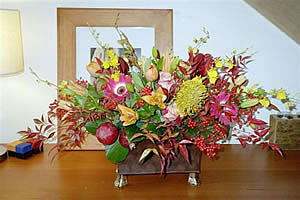 Our greatest pleasure is to fulfill your vision for your most special day with incredible wedding floral arrangement. We also enjoy working on other special events and selected commercial and residential accounts.